From Leiter. Another takedown of Chomsky's linguistics. He'd linked earlier to an article about indecisive robots. I posted a comment on a post by the roboticist who ran the experiment, Alan Winfield, and linked to what began as my letter to Searle. Build a machine with two separate and competing algorithms, for conditioned response and calculation, and a root level imperative for continued operation: survival. The result will be a neurotic machine, "haunted" by past actions. Programming a machine for utilitarian responses, a la the "trolley problem" requires a lot of processing capacity, but there's no haunting. Your robots were frozen by competing signals; there was no "mind" to be made up. I'm not sure there's one for animals either, but even if consciousness is epiphenomenal it might not be such a good idea to build robots with the capacity to exhibit it. On Chomsky, I've been saying it for years. And it's in the paper. I make a lot of enemies, even when I shouldn't. Sahlins was going to publish the thing. Chomsky will go down in history as an amateur reporter of fact who spent his professional life attacking the importance of facts. He’s an extreme rationalist who’s a great journalist only because he doesn’t take it seriously. But his diagnoses are shallow He promotes an ideal of radical democracy based on assumptions that are as self-serving as they are banal. And he sticks with them while those who shared his Modernist idealism have replaced that naive hope with formalism or arch cynicism. In a sense his arguments are founded in a theory of rational action, not of unbridled self-interest but rational civility, a civility frustrated by outside forces that he can only describe in the simplest terms. And if they’re “outside”, then of what? His logical anarchism is akin to academic philosophy and contemporary academic economics, products of the same era. He’s said he sees no connection between his politics and his linguistic theories but they’re founded in the same Talmudic imperative, intellectual and moral: that man is and must be other than animal. Empirical research has been pushing his linguistics aside and it’s clear to most by now that Chomsky’s greatest achievements are those that are philosophically his most mundane. "The poverty of the stimulus" arguments amaze me. We're flooded with stimuli; from our earliest moments we're learning to categorize and filter them just so that we can function. Language is used to describe the endless gradations of sense. Only a purblind bookworm would see ideas as primary. But again, and again, (and again), philosophers in choosing ideas want the god's eye view. 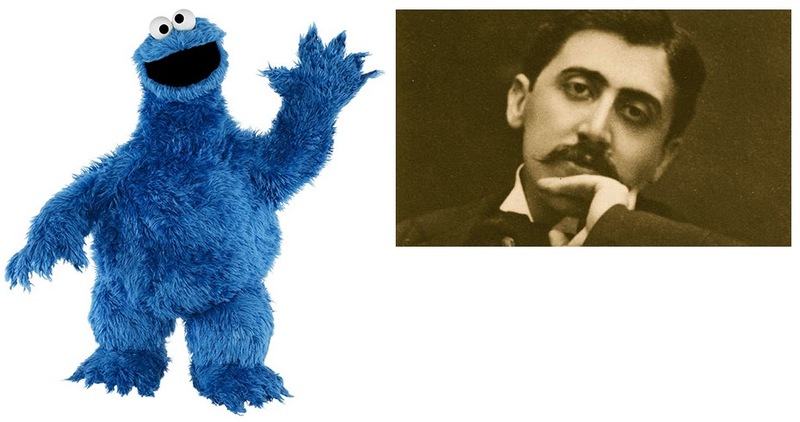 They choose Plato over Proust: "In the beginning was the word." But we'll never have a god's eye view, and in the absence of gods no such views exist.